Home News by type Creative Read all about it! Teaching visitors to a Cornish seaside town how to speak ‘gull language’ has seen a local public relations and marketing agency shortlisted for a major industry accolade. 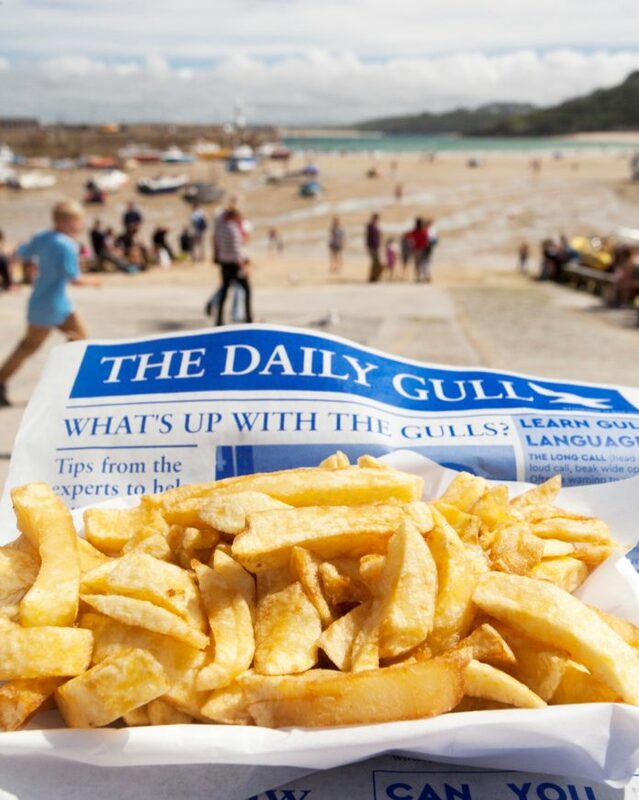 DCA Public Relations set out to tackle the problem of gulls swooping on people with food in St Ives, which was impacting on the image of the holiday destination. Working on behalf of its client, the St Ives Business Improvement District (BID), DCA enlisted the help of a leading seabird expert to better understand gull behaviour and how to spot the tell-tale signs of an imminent bid to relieve visitors of their ice cream or chips. 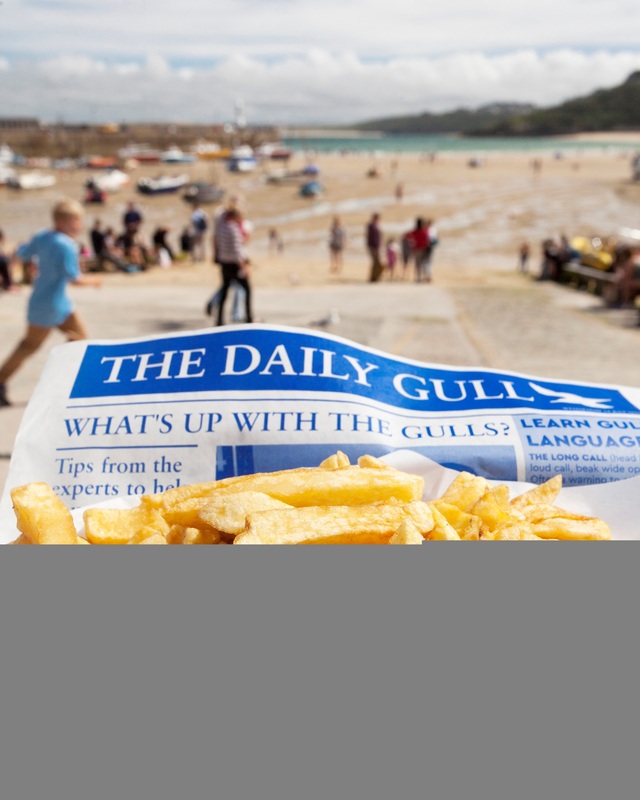 The multimedia campaign included producing ‘The Daily Gull’, a greaseproof newspaper-style leaflet for fast food outlets explaining gull calls and body language, and how to respond to the birds’ animal instincts. The successful campaign has resulted in DCA being shortlisted in the PRCA Dare Awards. The awards celebrate the best PR and communications professionals across the UK and are judged by a panel of industry experts split across five regions. The DCA team impressed with its innovative way of tackling a real-life problem, while promoting St Ives as a destination, and have been shortlisted in the low budget campaign award. DCA director, John Casey, said: “We’re pleased to have been shortlisted for this highly regarded award and with such an innovative campaign that used all our in-house skills, from PR and video through to social media. “We wanted to stop people seeing the birds – a protected species – as pests and instead begin to understand their actions and adapt, allowing man and bird to both enjoy their time in St Ives. Meanwhile, Wild West Communications, which has offices in Truro and Bristol, has been shortlisted for six PRCA Dare Awards, including campaigns for leading national food brands Kelly’s of Cornwall and Clarks Natural Sweeteners, as a well as a corporate affairs campaign, supporting the reinstatement of a passenger helicopter service to the Isles of Scilly. Wild West has also been nominated for the Small Consultancy of the Year category while employees Megan Hocking and Sam Shrimpton have both been nominated in the Rising Star of the Year category. Awards will be presented at a ceremony on June 15.